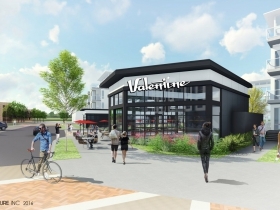 Oak Creek, Wisconsin (April 28, 2016) – Barrett Lo Visionary Development (Barrett Lo) and Valentine Coffee Co. (Valentine Coffee) announced today that Valentine Coffee will open its newest location at Barrett Lo’s Emerald Row development in Oak Creek, Wisconsin. 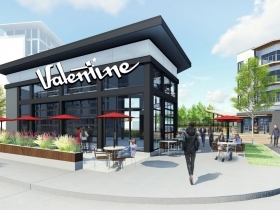 Valentine Coffee will occupy the approximately 1,700 square-foot stand-alone retail space at Emerald Row. The new location, with 48 seats between a first level and mezzanine, and an additional 52 seats on the patio fronting Drexel Town Square, is scheduled to open in late fall or early winter 2016. This marks the second location for Valentine Coffee Co., which currently operates a roastery and tasting room on West Vliet Street in Milwaukee. 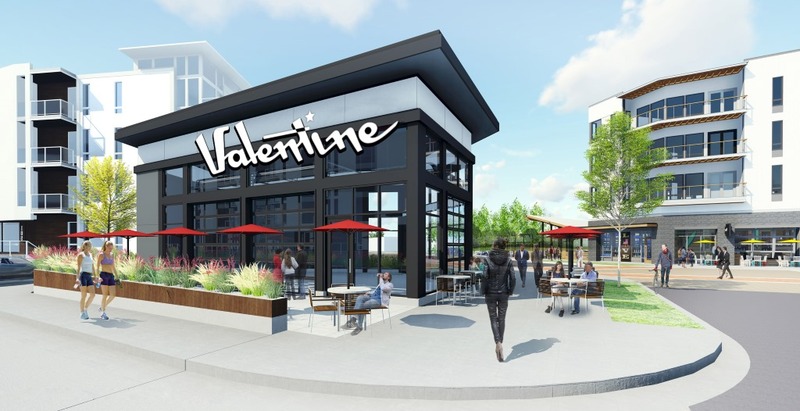 The new Valentine Coffee location will embody the vision of Drexel Town Square, activating public and private space to create a community destination. Valentine Coffee will be open for breakfast, lunch and dinner, serving nourishing, simple and delicious food made from scratch with a focus on fresh, locally sourced ingredients. In addition to Valentine Coffee’s own small-batch specialty roasts, the restaurant will serve a carefully curated selection of wine and beer. 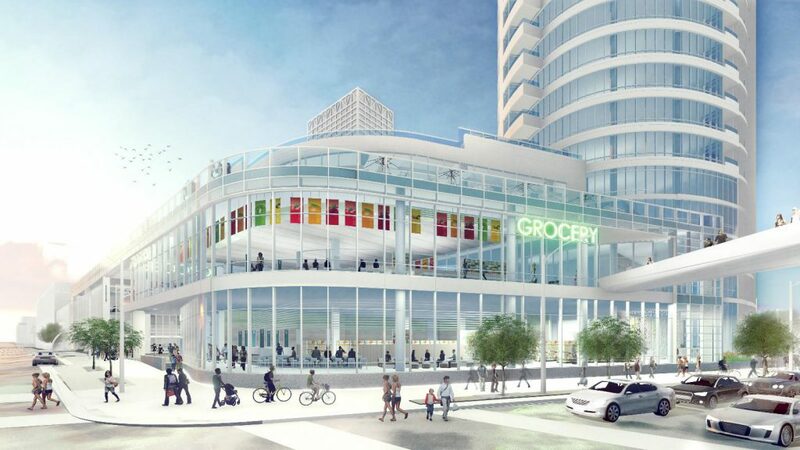 Emerald Row is a mixed-use retail and luxury residential apartment development offering a, modern, walkable community, with all the benefits of urban living without the congestion and cost of a downtown address. Emerald Row is part of Drexel Town Square, Oak Creek’s newest retail, commercial, residential and civic development on the corner of Drexel and Howell Avenues. Reminiscent of a traditional downtown, Drexel Town Square includes a real Main Street with a new City Hall and Library on a town square, surrounded by retail stores, restaurants, shops, businesses and apartments. Emerald Row residents have access to a beautiful nature preserve, walking paths, and other charming amenities like a splash pool, ice rink and a farmer’s market. Valentine Coffee Co. was founded on the premise that coffee begins as a fruit, uniquely evocative of a particular time and place. This character – the terroir – is maximized by carefully roasting beans to the apex of natural sweetness, brightness, and balance… never to bitterness. Valentine Coffee Co. starts with the best beans available and a passion for everything delicious. Relying on curiosity, experience and attention to detail, the company aims to to craft the most expressive – yet satisfying – coffee possible. To learn more, visit www.valentinecoffeeco.com. 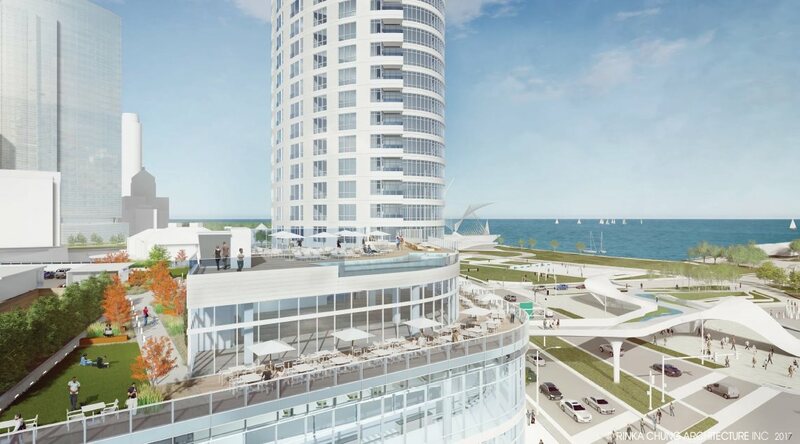 Barrett Lo Visionary Development is a national real estate investment and development company located in Milwaukee, with a focus on ultra-luxury mixed-use developments that transform the landscape of a city and bring vitality to communities. Boldness, confidence and vision are the cornerstones in Barret Lo’s development of destinations – not just buildings. For more information, past, current and future projects, visit www.barrettlo.com. “This is a major milestone for The Couture that enables us to move forward with the final stage of financing,” said Rick Barrett. This announcement marks a major milestone in moving the development project forward.